If you are like many homeowners, you want a bath and shower that looks as luxurious as the rest of your home. If you feel as if the showers in your dwelling have lost their luster, but do not feel compelled to do extensive renovations or a full replacement, you should consider acrylic shower liners. Acrylic liners are the newest thing in bathroom remodeling technology, and can bring new life to this much used room. If your goal is a Columbus Bath Design by Luxury Bathroom that has aesthetic appeal as well as a refreshing, spa-like feel, acrylic liners are the perfect choice. When offering bathroom tips, many home improvement experts now mention liners of this type, as they are not only easy to install, but can be put in place quickly if you do not want to wait to enjoy the new look and feel of your shower. Because they are made from cost-effective, yet durable acrylic, beautiful shower inserts and liners can be installed in your bathroom to conceal virtually any flaw that may exist. You have probably discovered over the years that certain stains are difficult to remove, regardless of how aggressively they are scrubbed. Whether you are dealing with old mold stains or surface scratches, one-day shower repair is an ideal option. With liners of this type, no design is out of reach. Regardless if you want elegant stone, smooth wall, tile design or another option, it is possible to create your dream bath in less than a day. You can also choose from a variety of colors, from timeless neutrals to trendy bold shades. 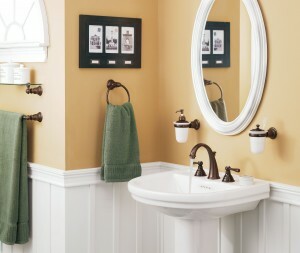 Additionally, you can opt for extra accessories, such as bath seating, shower pedestals and built-in soap dishes. No shower or tub is too difficult to cover with acrylic inserts, and the same dimensions are preserved during the job. Precise alignment is used so that your faucets and drain remain in their current position. This is beneficial if you are happy with your current fixtures and faucets. Do not wait another day to give your bathroom a face lift. Contact us now and enjoy a new, attractive look for your shower and bath.